David Wilkinson is a Methodist minister and Principal of St John’s College in Durham, but before he taught theology, he conducted research in theoretical astrophysics. For Things Unseen he explores the significance of a number called Omega. Omega is the name physicists give to the ratio between the amount of mass and energy in the universe with the amount there needs to be for stars and galaxies, and ultimately us, to be here. It turns out to be very… very nearly 1. Even a miniscule amount different and there would be no recognisable universe. 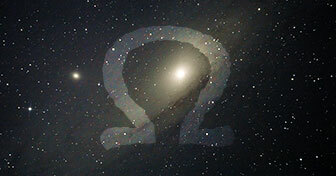 And Omega isn’t the only number that seems to have been incredibly fine-tuned to allow us to be here. Some have used this as an argument for a Creator God. But although David Wilkinson finds pointers to a deeper truth in Omega, he also explores an alternative theory which some say explains the fine-tuning. In the end, he says, his faith doesn’t rest on proving God through numbers.